Our last contestant is the Soyo SY-K7VTA Pro, another example of a board that's based on the company's KT133 design. Like its older brother, the SY-K7VA Pro also performed pretty well in our tests. Like a couple other manufacturers, Soyo also included a full HSF unit on the 8363A North Bridge for better cooling. Soyo added another fan header specifically for this fan. The layout of the board is based Soyo's KT133 solution, where the power supply connector is placed next to some capacitors and the I/O panels, whjch can make unplugging the power cable a difficult task. 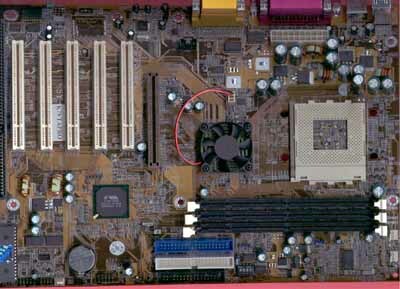 The K7VTA Pro features a total of five PCI slots and one ISA slot, which is pretty average these days. The stability of the board is also pretty average in this group, crashing two times in 24 hours, as is performance. 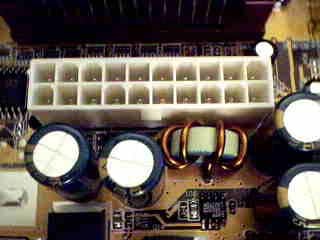 Changing the multiplier is done through a set of dipswitches, but CPU voltage and FSB speed are both selectable inside the BIOS. Like several other boards we have here, there are some gaps between FSB speeds higher than 133MHz, which limited our overclocking results. Our overclocking tests showed that the SY-K7VTA Pro could reach an FSB as high as 145MHz before losing stability - around a 10% overclock, which is a bit below average. 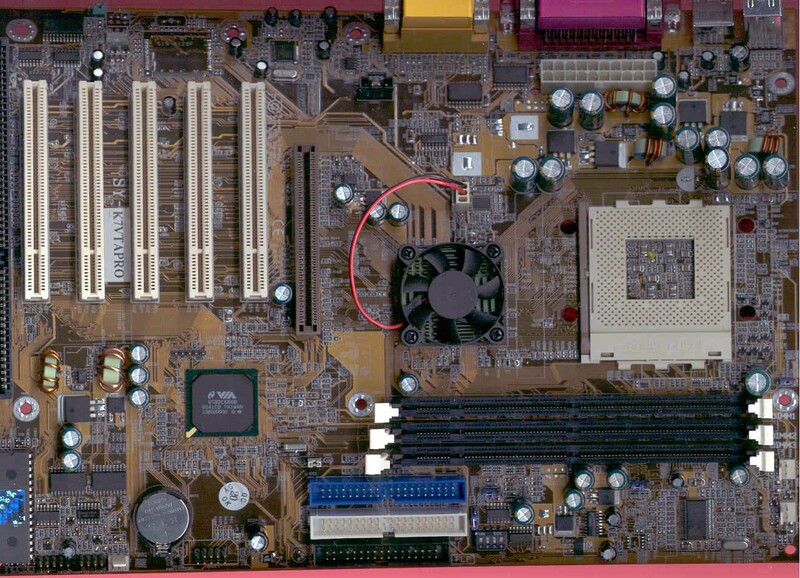 In general, Soyo continues to provide solid motherboards for general users, but for hardware enthusiasts, the K7VTA Pro might not be the best choice.